Bees: Yes I have been working with them here! It’s true, I have been holding off for a few reasons. Guard bees at one of the first beekeepers I met in the neighboring village to mine. Profils, an NGO based in Mboro, my training village and works with many groups and beekeepers in my region. Bees here (mostly Apis mellifera adansonii or scutellata based on who you ask) are much more aggressive and abscond (to leave there hive in search of a new one for many reasons) more often (behavioral traits that are occur in most breeds of bee). The keepers I have met work for the most part the same, taking safety precautions with wearing suits, gloves, boots, having smokers handy and never going out alone to work the hives. Which are all good signs. captured bees for the farm (all in wolof and french). Left: at a meeting with beekeepers discussing bee pests and treatments, Center: talking with a group at the Master Farm about capture hives, Right: happily walking out to check some hives in the Mangroves. Happily I have been able to find many beekeepers that ask for my help, opinion and will simply show me what they know so I can better understand how to work with the bees here. We share information, no one is more right than the other has I have always learned from beekeepers and the bees themselves. There is always more to learn. 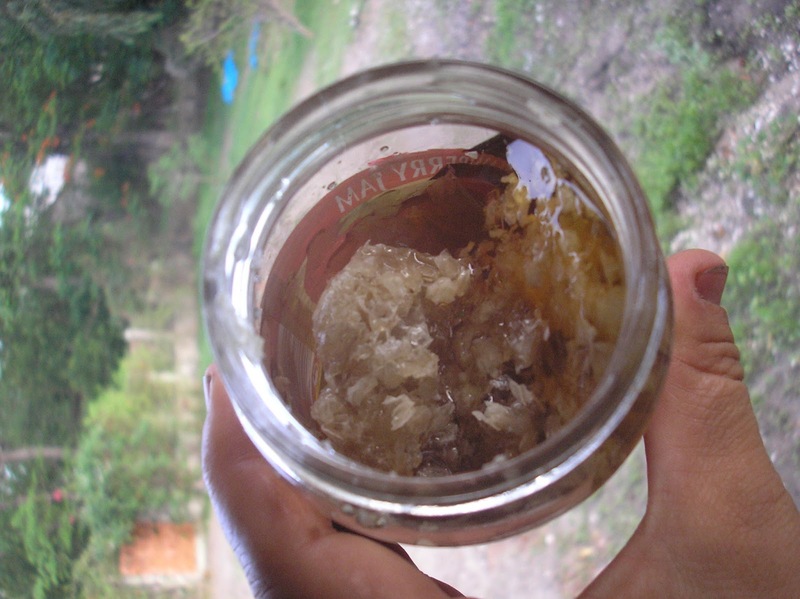 AND I was able to harvest some honey from a hive I started at the Master Farm. I would like to harvest more but would like to borrow an extractor to do so to save the wax rather than cutting the comb out as it helps the bees to give you more honey rather than using resources to build more comb. Of course there are a few more groups I know of that I would like to talk to further about partnerships or simply to better understand what their goals are working with bees in this region or Senegal-wide. As being a Peace Corps volunteer I am more visible, travel more often, and sharing information and resources is more ‘normal’ for me to inquire about than most Senegalese. Currently I am working on a gathering information on list of plants that are nectar sources in this region, making a calender of the bloom dates and finding the local names for the plants in the 5 major languages spoken in this region so it can be used to plant, locate and increase the amount of nectar sources for the bees here. Like anywhere in the world here, bees here are a big deal. 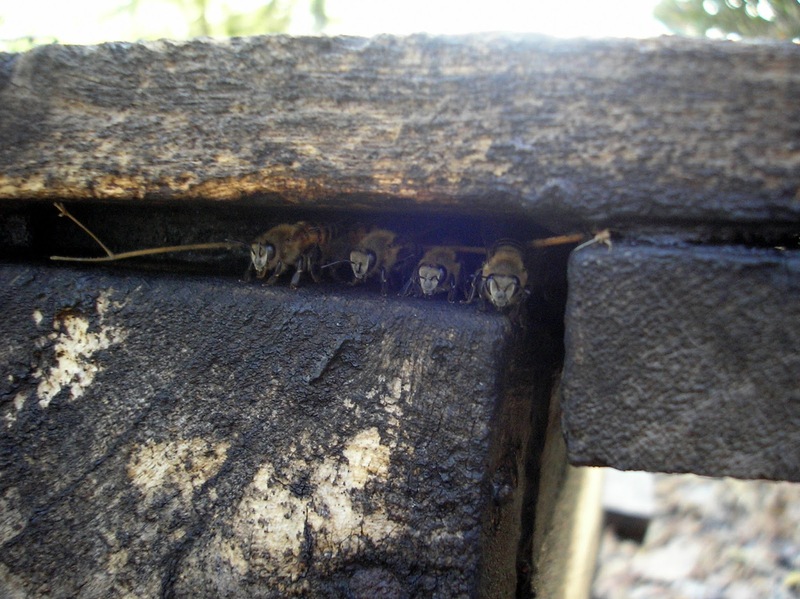 But having people understand basic behavioral traits (and they can be selected through breeding) while increasing and improving the quality of there nectar sources will create a stronger ecosystem for the bees but also strive to give the beekeepers a year around income from honey rather than around the rainy season as it is now.